The Appalachian Trail spans from Georgia to Maine. From mountain peaks reaching 6,643 feet to walking along the sparkling water, the trail is absolutely stunning. Every year thousands of people from all around the world will take on this amazing journey. Of course, before you can begin hiking you must have the proper gear. There are plenty of options for everything from the shoes you wear to the food you eat. Arguably, the most important purchase you will make is your backpack. With so many options, where do you start? Before purchasing a pack for your hiking adventures, you must decide what your goal is. Do you want to thru hike or go on a weekend adventure? Will you pack minimal or heavy? Do you prefer a water bladder (reservoir) or water bottles? What will you be sleeping in? When choosing a pack remember the size of the pack is crucial. Use sizing charts and measure yourself to ensure you are wearing the correct size. If you do not have the correct size pack it can cause the pack to move while you hike or it may not sit on your hips or shoulders correctly. When trying on a pack it should also be tight and secure. If a pack doesn’t fit then it’s not for you. Lots of companies also make backpacks specifically for men or women. This is to help the pack fit better and to sit better on your hips. While lots of backpacks are unisex, always see if the backpack you like is for men or women. 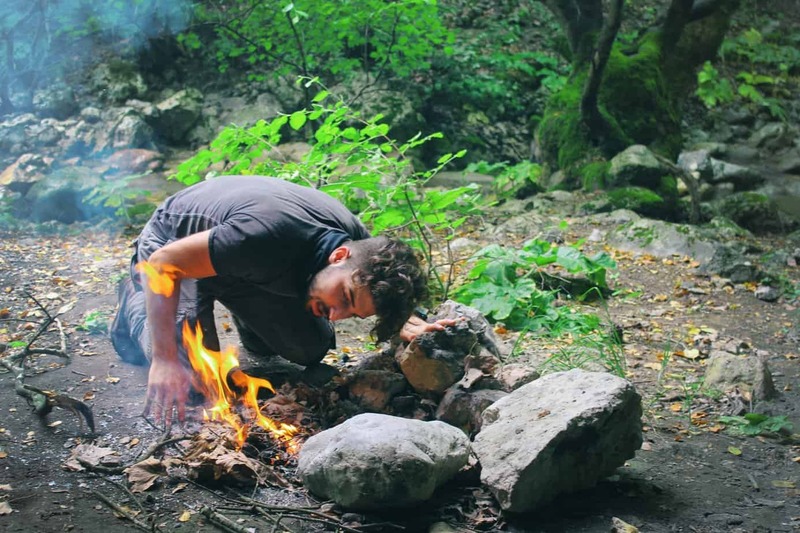 Before making a final decision on a pack you should plan your hike. I’m not saying you have to know what you are going to do every second of the day but before buying a pack decide on how long you will be hiking. If you plan on only doing day hikes a 50L pack is unnecessary. Different packs can be used for a thru-hike, day hike, or weekend hike. Your gear also plays a huge part in buying a backpack. For example, a $60 sleeping bag is going take up a lot more space than a $600 sleeping bag. Buying ultra-light gear, although more expensive, will be less weight and take up less space in your pack. If you are planning on buying the cheapest gear you can find then you will need a bigger pack than someone with “top of the line” gear. A large pack also won’t be necessary if you will be hiking minimally, using as little as possible and only bringing one spare outfit. Always weigh your pack and make sure you do not go over the weight limit for the pack you own. Everyone will have a different hike so it all depends on the person. 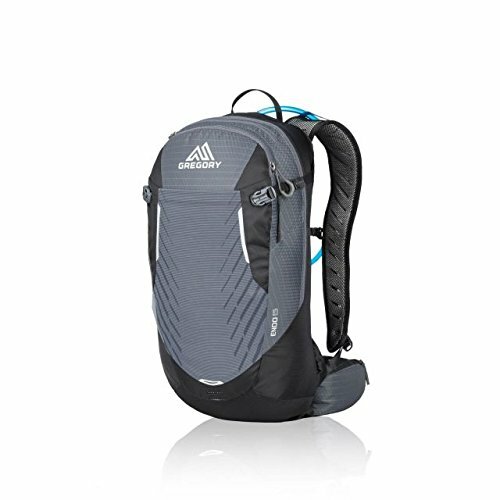 This unisex backpack the best option for a thru-hike if you want to hike as lightweight as possible. This pack weighs just under two pounds and can hold up to forty pounds. Rather than having multiple compartments this pack is a top loader which simplifies the packing process. This pack is also made with one-hundred percent waterproof fabric. Being waterproof is an amazing feature and you not need a rain cover. There is also outside pockets for water bottles, shoes, etc. 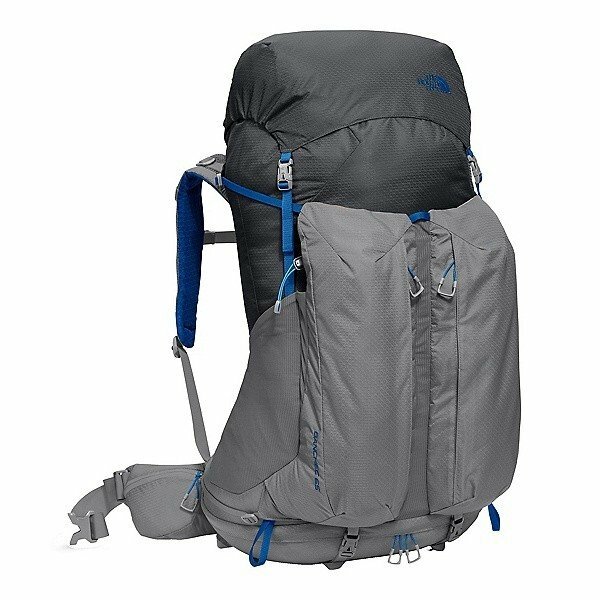 If you are interested in this pack but want a smaller size, the Hyperlite Mountain Gear 2400 Windrider would also be a good option. When purchasing from Hyperlite you have fifteen days to return a pack for a full refund if you are not satisfied and if the product fails due to a manufacturer’s defect within a year you will receive a full refund as well. 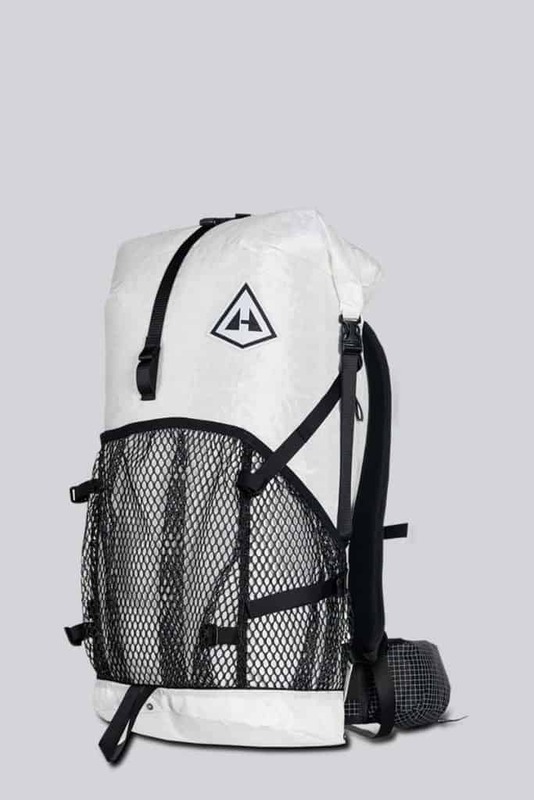 Unfortunately, Hyperlite will not replace or refund a pack that is torn, stained, etc. due to wear and tear or material break down over time. I listed these two packs as one because the Osprey Eja is the female version of the Osprey Exos. Also keep in mind the weight varies slightly from the small, medium, and large. Both the Exos and Eja can hold 20-40 pounds. The Osprey Eja is made for women, as the suspension, hip belt, and color selection is slightly different. One of the best parts about buying an Osprey pack is that they do create packs specially for women. This backpack does have a dedicated place for a water bladder but it is a struggle to get bottled water out of the side pockets. There is also a pocket in the top that is removable, which is a great feature because if you don’t like having to lift everything in the pocket every time you open the pack you don’t have to. Many people do like having the pocket but removing it also saves a little bit of weight. A wonderful part of buying an Osprey pack is the warranty. Osprey’s All Mighty Guarantee will repair any product from any era for any reason. The buyer will be responsible for the shipping costs. If you need a replacement zipper the company will send you one which is extremely helpful. The North Face Banchee 65 is also available for women and of course, the women’s pack is slightly different. This pack weighs three pounds and ten ounces. Although this backpack weighs the most out of the three thru-hike packs, it is still lightweight. There is a separate pocket for your sleeping bag which is very helpful because with other packs you would have to pull out everything in your pack before reaching the sleeping bag. Along with this, there is lots of pockets and compartments for your gear, this is great if you do not like traditional top-loader packs with one main compartment. When buying a pack from North Face you receive a lifetime warranty, as well as free shipping and returns. The warranty does not cover wear and tear or damage caused by an accident. The company will only replace or repair the pack if it has a defect caused by the manufacturer. Although North Face does not cover any damage caused by the owner, they will repair a pack for a reasonable fee and the owner will be responsible for the shipping. 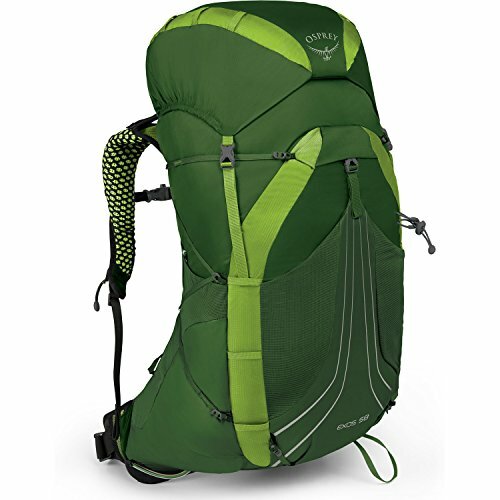 The High Sierra Pathway 40L Pack has a low cost and high quality. This pack can hold up to a three liter water bladder, which is sold separately. This unisex pack was designed as a “one size fits all” so you have to adjust the straps to your size. Although you can adjust the straps, the pack may not fit due to it being too short or too long. Try on the pack and adjust all of the straps before buying to ensure the fit is right for you. This pack includes mesh pockets on the side for water bottles, a spot for trekking poles on the back, and adjustable straps designed to hold a sleeping pad or sleeping bag on the bottom of the pack. By using the bottom straps to hold a sleeping pad you will save room inside the pack. Inside are pockets to hold more items as well. Overall this is a great pack with air ventilation. 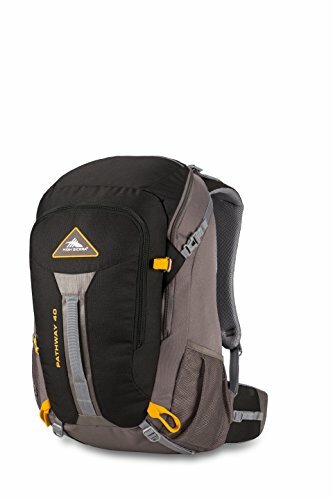 When buying a backpack from High Sierra the warranty covers any damages or defects due to the manufacturer but will not replace or repair a pack damaged from wear and tear. You can also contact the company to buy replacement parts. As for the return policy, you have thirty days to return the pack for a full refund if you are not satisfied. These two packs are under the same listing because one is the women’s and the other is the men’s. The Mira AG 26 is slightly smaller than the Manta 28 because it is for women. There is also a size smaller (18L) and a size larger (32L) available in this design but the 26 is the best for weekend hikes. These two packs include a two-and-a-half water bladder and an Osprey bite valve for instant access to fluids. Another easy access item is the rain cover, located at the bottom of the pack. This feature is helpful because it eliminates the need to rummage around looking for a rain cover as rain begins to fall. There is also adjustable straps to pull the pack closer to your back when it is not fully loaded to distribute weight better. 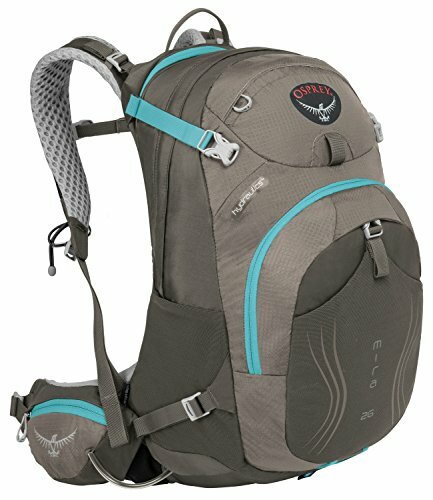 Information on the warranty and return policy for Osprey is explained with the Osprey Exos listing above under thru-hike packs. With this pack there is definitely a lot more pros than cons and overall this is a great pack to take with you on your next weekend adventure. The Gregory Endo 15 3D-Hydro is perfect for a day hike. It is a small pack (15L) and that is plenty of space for water, food, and any other necessities you may need for the day. This pack includes a 3L water bladder as well as many compartments. The hipbelt is adjustable and can be moved up higher or lower. The Gregory pack can also be used for biking along with day hikes. The outside pocket is mesh and designed to stretch to hold any items that do not fit inside the pack. This pack can hold up to twenty pounds so be mindful of this if you pack a lot of items. Gregory products are covered by a lifetime warranty. The warranty covers any damage or defect caused by the manufacturer. If your pack needs repairs from wear and tear or any other accident caused by the owner Gregory will repair the pack at a reasonable cost. If you are not satisfied with your purchase for any reason you will have thirty days to return the pack for a full refund. When returning a pack bought online it has to have the tags still on it and be brand new. You cannot return a used pack. If the product is damaged or you receive an incorrect item you must report it within sixty days or Gregory will not process your request.